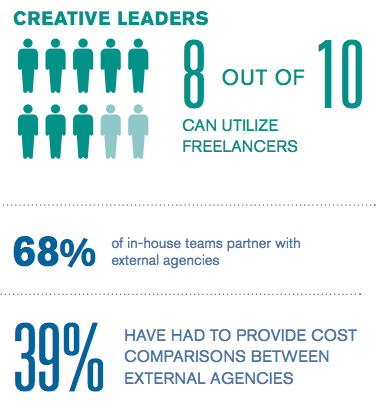 How Does Your Creative Team Stack Up? This is an exciting time for creative leaders. Technology has made it easier than ever to create stunning designs, and the interactivity of content is on the rise. Plus, there are now a wide range of educational services, both online and off, that talented individuals can leverage to develop their design skills. This means more experienced professionals who can provide a wider range of services for creative teams. But what are teams saying about how things are going? Is this growth in technology and accessibility a good thing? 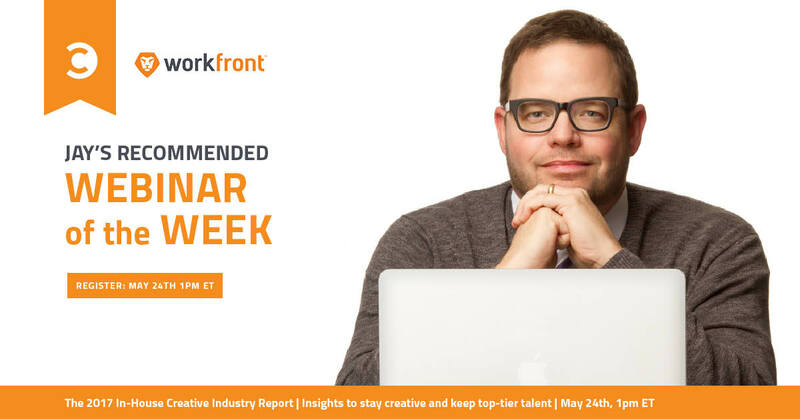 The BOSS Group and Cella recently released the 2017 In-House Creative Industry report and are partnering with Workfront to bring you an insightful webinar about what their findings mean for marketers and creatives. 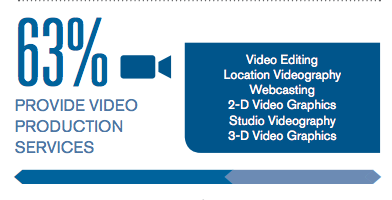 The data packed into this report is unmatched, so I know the webinar will be juicy and useful. Register now by clicking the button below. You’ll also get access to the full report. To give you a little teaser of what you’ll learn from the report and the webinar, I pulled out some interesting data points that show what might be wrong, right, or missing from your in-house team’s operations. While creatives are generally satisfied with their roles, one major gap is their inability to support and train their staff. Between working directly with clients, generating plans, guiding strategy, and keeping the trains running on time, there is only so much time to do it all while also supporting and leading other people. As a leader myself, I spend significant time working with my consultants, yet while they’re all incredibly bright and talented in their own right, I wish I had more hours in the day to work closely developing and honing their skills. This is a common issue that spans across industries, not just the creative agency. Sometimes, outside support is okay, even necessary to provide services that the agency either cannot provide or doesn’t have the resources to provide. In-house teams are leveraging that, although it’s not always as easy as putting out an RFP or connecting with that old colleague who now runs their own freelance operation. In-house teams must prove the value of these agency partnerships and make sure the cost of working with them from a financial and management perspective is worthwhile. Given the proliferation of video content across the internet, it’s no surprise that agencies would need to provide some form of video production services. However, I was intrigued to see that the majority of the companies surveyed provide this service. With dedicated video production houses all over the world and many creative agencies starting our as simple print-houses, it’s interesting to see that many creative agencies providing this service. It supports the idea that agencies are going to need to diversify their offerings to support the changing needs of their clients. Given the increased reliability of internet and communications services, it seems natural to allow team members to work remotely. While 23% of companies do not allow flexible work schedules, only 12% do not allow remote work at all. This is encouraging for the next generation of professionals who value flexible schedules, independent workspaces, and freedom to live a life outside of work. There are so many more interesting data points in this report, from locations of workers and skill sets of full-time employees to depth of services and uses of technology and support teams. 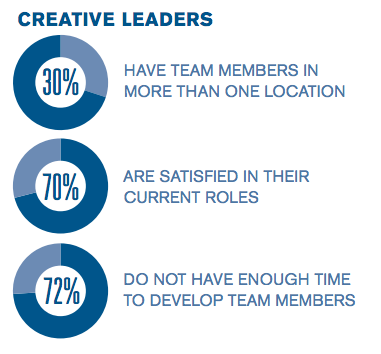 How does your in-house team measure up? Don’t forget to register for the webinar to find out. I’ll see you there!